Notations is a feature of the JCRT’s Religious Theory weblog. From time to time we solicit pieces from contributors who are on the scene and able to theorize from the actual site of major world events. 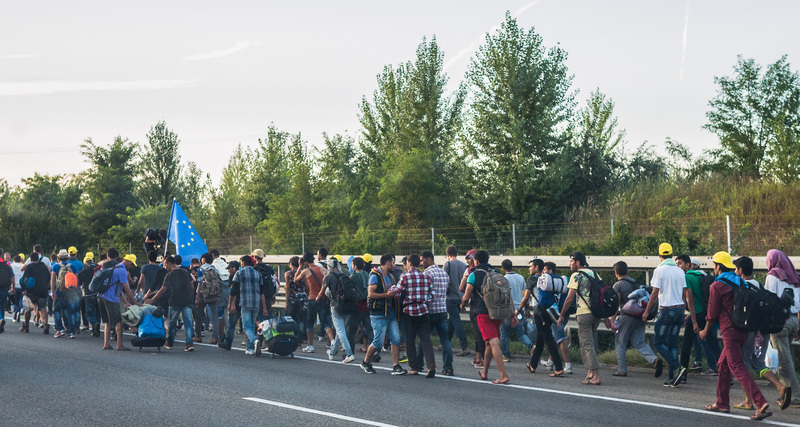 This week we publish a series of contributions from observers and scholars who have witnessed first-hand the European refugee crisis. The European refugee crisis continues. At the end of 2015, there were 1,294,000 asylum claims made in the European Union. In the first two months of 2016, 82,636 asylum seekers crossed into EU territory. News reports are steadily and dutifully produced–what is the latest headcount? Which EU member-state is not pulling its weight this week? How many drowned in the ocean this month? The presumptive question of almost all public discourse in Europe regarding refugees is that of how many asylum-seekers the EU will accept. This question is however rendered almost trivial compared to its inverse: how many applications for asylum will Europe reject? And what will become of these seekers? If recent years are any indication, the answer to the first question is: quite a lot. In 2014 nearly half of all asylum seekers, according to The Economist, were denied refugee status in the EU. But here is the truly staggering statistic: of these failed applicants, only 39% were deported back to their country of origin. 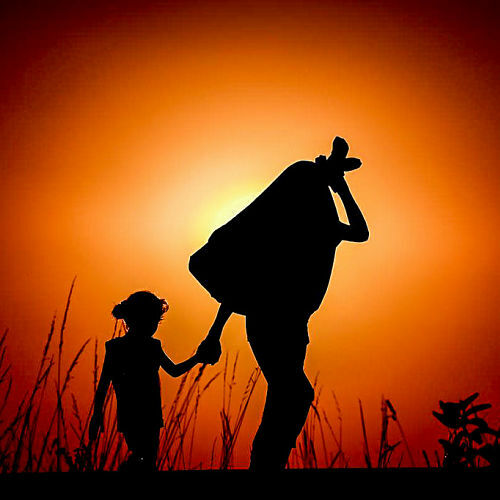 Sometimes, the home countries of the would-be refugees recognize their right to citizenship –their rights to live, work and not be harassed or harmed on the basis of their religious, political, ethnic, or other affiliations. Sometimes they do not. On paper, the EU will not deport a migrant to a country where they face mortal or bodily danger. In reality, people are often deported to places where they face such dangers. Yet, again, only thirty-nine percent are deported. Sixty-one percent of rejected asylum-seekers remain in the EU. So, in the year 2014, of the 236,750 processed asylum applications, 104,710 were rejected. Of those, we can calculate that nearly 64,000 remained in Europe anyway–they became, in effect, stateless persons. These 64,000 people became stateless before the refugee crisis even truly began. More than one million asylum applications were made in Europe last year. If the trends of previous years hold, that could mean asylum-applications rejected in the neighborhood of 500,000 persons; which would mean that in the next one to two years, Europe will be the new, unofficial home of 300,000 + stateless persons. European philosopher Giorgio Agamben has produced quite a corpus on what it means to be a stateless person. In Homo Sacer (1995), Agamben examines archaic Roman law and the figure of so-called the “sacred human”, the person who may be killed by anyone, without consequences. In Roman law the killing of the homo sacer could not count for murder, nor could their death count for any religious or ritual significance. If this seems a bit obscure, we can offer quite a clear contemporary example of this dynamic. Last summer Austrian Parliamentarian Dagmar Belakowitsch-Jenewein gave a speech on the Parliament floor in support of using only military aircraft for deportations from Austria. This proposal was later approved. She told a story of a deportation that took place on a commercial flight from Vienna to Milan. The refugee was screaming, delaying the flight. The authorities finally sedated him by injection, but he continued screaming for forty-five minutes before the flight would resume. So, the homo sacer is the one that is no longer supposed to exist. The stateless person is (s)he who no longer exists on paper. For Agamben, to exist no longer officially and legally is to enter a “zone of indistinction between outside and inside, chaos and the normal situation–the state of the exception.” Further, to fail to exist on paper is to enter a zone of indistinction between life and death. Rejected asylum recognition paired with unenviable citizenship in one’s nation of origin is a legal and juridical death. The denationalized person becomes dead to the legal structures that affirm personhood; they simply no longer apply. The significance of this particular form of what Agamben calls the “state of exception” is the loss of any mediating values, rules, or regulations to restrain the force of the state as applied to individual bodies. The state, or citizens of the state, may do whatever they wish to those without papers. There is no legal recourse for vindication of these examples of homo sacer. They reside outside of the realm of law. Those without papers may be evicted from their home or from their city at any time, they can lose their job, can be denied their wages, education, and ownership of property. They are often scapegoated and demonized by politicians that exploit their status as the “other” to win support from that lucky sector of the population that possess voting rights. Even in cases where the stateless person is not denied these “rights”, they become unblushingly mutable. They in fact, cease to function as rights at all. They are privileges guaranteed only by the real or imagined benevolence of a state or society. And benevolence only gets so many people to the polls. In her 1958 book entitled The Origins of Totalitarianism Hannah Arendt observed that in the pre and interwar years, “Denationalization became a powerful tool of totalitarian politics,” even in such a way that, “persecuting governments [might] impose their standard of values upon their opponents.” (269) And here we come to a critical juncture. It has become almost a truism that the refugee crisis represents a crisis in European values. The danger is to think that when we talk about threatened European values it merely means that an influx of non-Europeans might disrupt an illustrious heritage of beer and bratwurst, baguettes and wine, classical music and monarchy, or any number of arbitrary cultural markers. This crisis of European values is not really about Europe’s self-definition as Christian, or secular, or at least non-Muslim. The crisis is not imposed by an external force or flow of persons. It is an internal crisis. This crisis of European values is about what, for Europe, constitutes personhood (especially political personhood). We need not search far to underscore this point. Might we invoke the very first line of the UN Declaration on Human Rights: Whereas recognition of the equal dignity and of the equal and inalienable rights of all members of the human family is the foundation of freedom, justice, and peace in the world. Article six might also be of use: everyone has the right everywhere to recognition as a person before the law. Europe claims to hold to these as the foundational values of her existence and legitimacy, reaffirmed in the EU’s foundational documents. It is supposedly Europe’s post-war raison d’etre, which distinguishes EU-members from states with inferior human rights commitments. That leads to another uncomfortable legal truth, hidden in plain sight. These rights to personhood before the law are anything but inalienable. Political personhood is a privilege granted by individual nation-states (both European and non-European) on the basis of what in the Third Reich were known as Blut und Boden, “blood “(who your parents are) and “soil” (where you were born), . In other words, the theory of the nation-state supposes that one “people” lays claim to one parcel of land with one-to-one correspondence. Human rights are granted by the sovereign to people of one nationality in one territory. Even today, according to all manner of international treaty, one’s nation-state is the final and authoritative guarantor of her personhood; to be dispossessed of the land is to be dispossessed of all guarantees of rights. We act as if such things are inalienable. But this is perfectly false. They are only and always alienable. They are based on the will (the whim even, should we consider Carl Schmitt and the state of exception) of the sovereign. It is in this sense that the legal structure of citizenship in contemporary states (regardless of their stated ideological orientation toward democracy) is haunted by the assumptions of that old Nazi-rallying call. At the end of the things, at the end of our rope, when staring at the asylum application of Amad from Syria or Abrihet from Eritrea, it is blood and it is land that make for personhood. If previous trends hold, there will be hundreds of thousands in coming years that will be denied legal personhood. They will enter Agamben’s zone of indistinction between life and death, they are reduced to what Agamben calls “bare life”. As bare life, there will be no accountability structures in place for the protection of their human rights.. Rejected asylum seekers are no longer legally protected persons in the EU, and yet sixty one percent of them remain in the territory. Perhaps they will be fairly-treated, perhaps they will not be (and surely there is European precedent for the latter, look at the fates of the millions who were denationalized in Europe between the 1920s and 1940s). Regardless of the outcomes, these failed asylum-seekers will have no say in them. So of course Europe may continue to reject half or more of all asylum applications that come through the pipeline, and she of course has the power to continue to deport people back to violent homelands, or alternately, to low-key denationalize them within her own borders. But Europe cannot pretend that in doing so her concerns are any more than of garden-variety fascism, or a question of comparative economic advantage, or cultural prejudice, or perhaps also a symptom of short-sighted cowardice. And for those that would oppose such mass de facto denationalization, it is long past time to begin intentionally shifting the focus of the public discourse from a lament on the burdens of the nation-state to a straightforward defense of those “rights of man” that are so acutely and agonizingly alienable. Kieryn Wurts has a degree in International Studies/Religious Studies from the University of Denver.She is currently a Praktikantin (intern, fellow) at Projekt Gemeinde, a multiethnic and idiosyncratic religious community in Vienna, Austria.